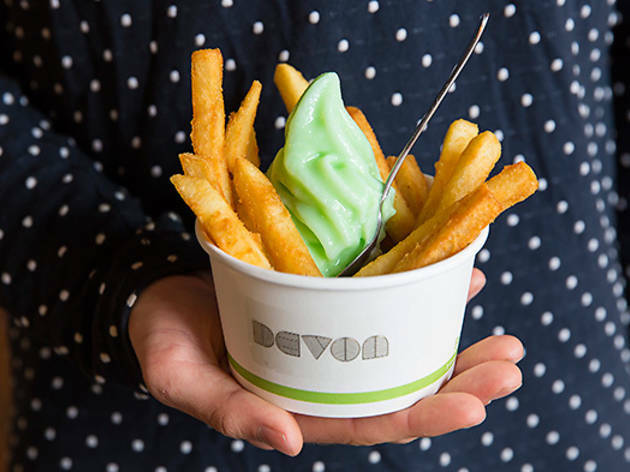 After successfully pleasing the office workers, commuters and creatives of Surry Hills and Barangaroo, Devon has now opened up shop in North Sydney. The north-side venture will dish out dinner for the first time, which is a great addition for a neighbourhood with a reputation for going quiet after the sun sets. But during daylight hours they'll be dishing up the café's signature menu items, plus a hearty 'sando' menu, with reubens, chicken and bacon katsu and fried chicken sandwiches. There's even a truffle jaffle. 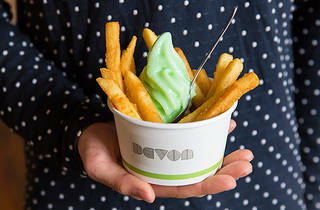 You'll also find the ever peculiar but popular soft serve with hot chips and the Japanese shaved ice dessert, kakigori.